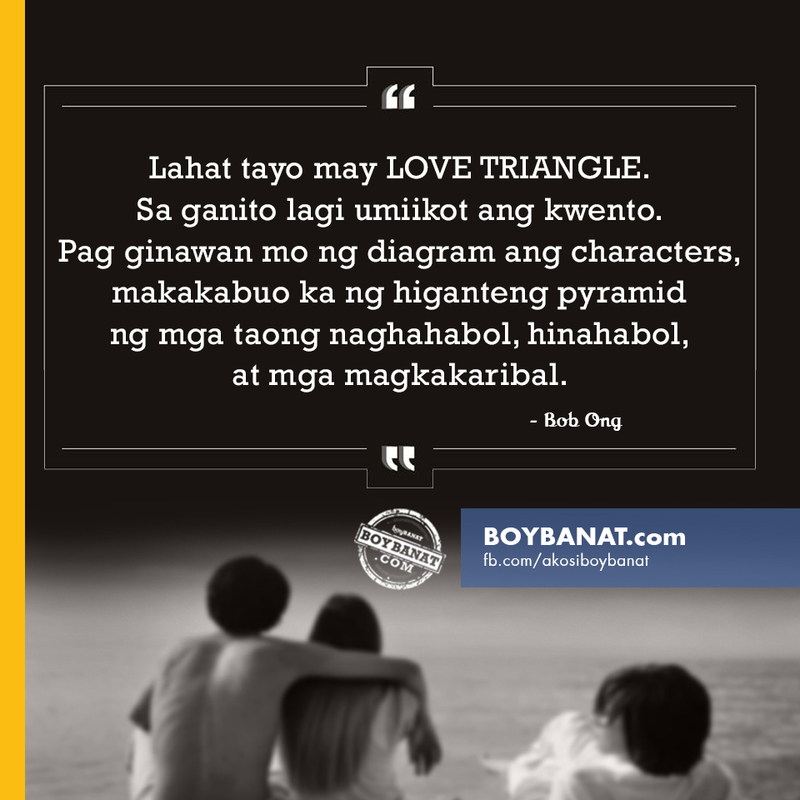 Known for his works as a contemporary Filipino author, Bob Ong has been one of the favorites among readers of any aspect of life. His true identity remains a mystery until today but his anonymity spiced up the fact that he is one of the country's best writers. This is something that only few can achieve. What's in his works that will make you love them is the element of humor using conversational Filipino to portray common traditions and cultures in the Philippines. "If your loved-one doesn't love you, don't complain. You see, there are also people you don't love but love you...so call it even." You must also initiate the flirting." It's just like taking the elevator. Why would you cram yourself in if you know that there is no more room for you. There's always the stairs, you just don't want to acknowledge it. Yes, it's true. You love someone who's already in love with another and there's one person who has been waiting for you all this time. Well, love triangle is excruciating and really hard to deal with. This situation can make you suffer because you can’t get things exactly the way you want them to. It’s like a roller coaster ride for you and this may take a long one for you. "Why too much? Could it not be acceptable if we make thank you exactly just right? It would be such a waste if we can’t use its surplus." "Use your heart to care for a person who’s closest to you. Use your brain to take care of yourself." That’s how you should do it. These lines can be slap on the face of someone who hurt you. No matter how hard they try, some people can’t just refrain themselves from cheating. Getting betrayed or cheated by the person you love is really painful and it’s a difficult process before you can move on even after the infidelity or a relationship has ended. 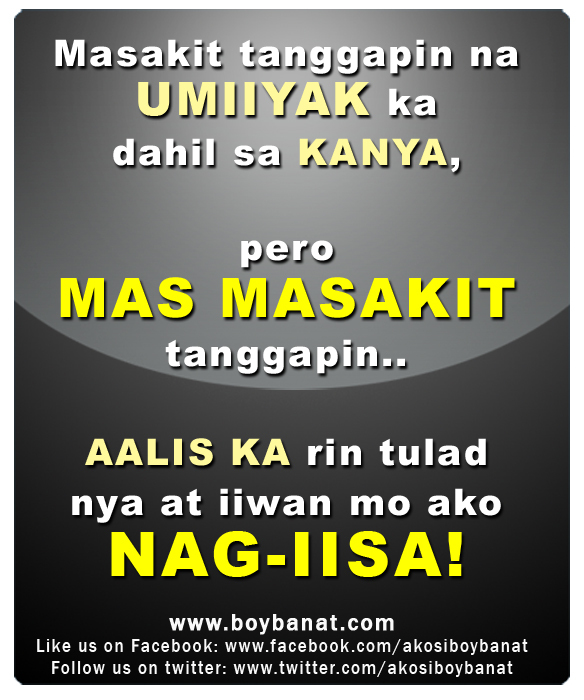 Once you found out that your boyfriend or girlfriend cheated on you, try to tell this message to them. "Everybody would take love seriously if they are hit hard. It's just that not all are strong enough to resist temptation." "It's just like taking the elevator. Why would you cram yourself in if you know that there is no more room for you? There's always the stairs, you just don't want to acknowledge it." 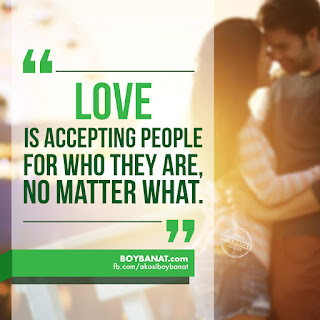 If you love someone and he/she doesn't, just let it be. Who knows that in the following days, you'd come to not like him/her anymore. It's just a matter of who goes first. especially if you are not the protagonist in the script he/she chose. Do you know how far the distance is between two people if they've already turn their backs on each other? You have to go around the whole world just to face again that person whom you have given up. This makes sense. People tend to hold on to their relationships even if they are no longer happy. If you feel that the spark has gone and things will not work out anymore then take the first move. Parting ways could be the best option for the both of you. Instead of enduring the pain, be brave enough to tell her/him that everything is not the same way it used to be. It could hurt but it will be worth it. Just let it go. "Let go of the things that hurt you even if they make you happy. and the one who makes you happy left you." "If you love two people, choose the second one. 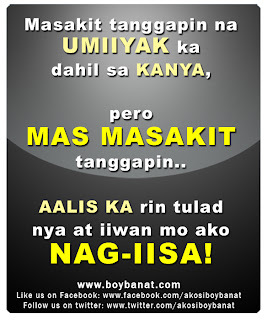 It's because you wouldn't fall for another if you really love your first." "The ears, if put together shaped like a heart. you know how to love." "Though not everything you thought is corny, really isn’t. because you force yourself into becoming different." How about you? What’s do you like most about Bob Ong? Which of his books is your favorite? 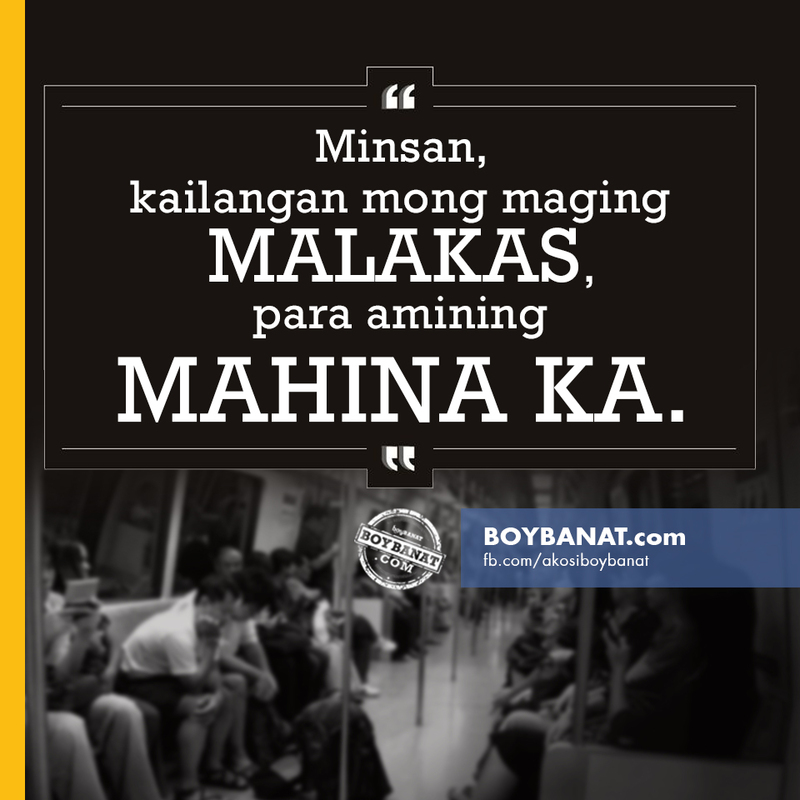 If you have your own collection of Bob Ong's Tagalog Quotes, feel free to share them with us. More avid fans will be glad to read them here at www.boybanat.com and fb.com/akoisboybanat.com, and we will be featuring more. Don’t hesitate to Contact Us.